BOSTON, Massachusetts, August 6, 2010 (ENS) – Suffering deep financial losses from the Deepwater Horizon oil spill in the Gulf of Mexico, and in response to a proliferation of deepwater offshore drilling for oil worldwide, investors have sent a joint letter to 27 major oil companies seeking transparency on risk reduction strategies for their offshore oil operations. Fifty-eight investors in the United States and Europe, representing trillions of dollars in assets, sent the request for more information to chief executive officers at the oil companies, including the world’s three largest deepwater oil producers – ExxonMobil, Royal Dutch Shell and Brazil’s state-owned oil company Petrobras. The investors did not send their letter to BP or Anadarko Petroleum, which jointly owned the Deepwater Horizon rig that exploded April 20, causing the world’s worst spill that sent 4.1 million barrels of oil into the waters of the gulf. Investors have seen BP’s stock fall by more than a third since the spill. 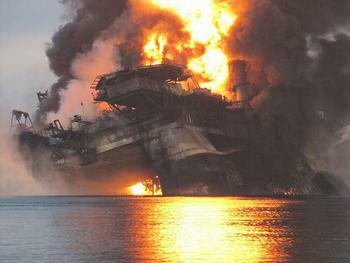 “The gulf tragedy provided dramatic evidence that investors and pensioners have high stakes in deepwater oil exploration. In my state alone, the nation’s two largest public employee pension funds have seen the value of their BP holdings plummet by $349 million,” said California State Treasurer Bill Lockyer, who serves as a trustee on the board of CalPERS and CalSTRS, which have a combined $337 billion in assets. A second letter was sent by most of the same investors to 26 insurance companies that provide insurance for offshore drilling activity. This letter asks if insurers are considering adjustments to their overall exposure to offshore oil and gas operations, including possible changes in policy volume. It asks if the insurers are considering changes in their underwriting criteria and if they are supportive of new regulations that would reduce offshore drilling risks. Swiss Re has estimated that total insured losses for all affected parties from the BP rig explosion and spill could top $3.5 billion. This figure would surpass the $2.2 to $2.5 billion in annual insurance premiums worldwide for oil and gas exploration. 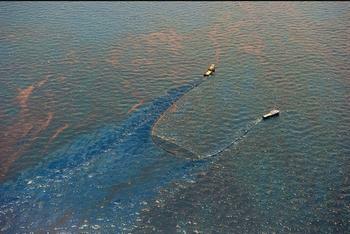 Earlier this week, the U.S. Senate leadership shelved a bill that would eliminate the cap on oil spill liability. The Senate will resume consideration of The Clean Energy Jobs and Oil Spill Accountability Act when it returns from August recess. With their letters, the investors are attempting to increase the safety of deepwater oil exploration for the oil companies, their insurers, the American taxpayers and the environment as well as for oil company shareholders. “Investors are by definition risk takers, but our risks need to be calculated and measured,” said New York State Comptroller Thomas DiNapoli, sole fiduciary of the NYS Common Retirement Fund. The letters come as the U.S. and several other countries re-examine offshore safety regulations amid a proliferation of deepwater wells in the world’s oceans. Deepwater oil production has tripled since 2000 to five million barrels a day and is projected to double again by 2015. There are now 14,000 deepwater wells worldwide, the investors note. “Investors are rightly raising questions about whether and how the rest of the oil industry is prepared to manage the risks associated with the industry’s move toward increasingly extreme water depths and operating conditions to find oil,” said Andrew Logan, oil program director at Ceres, a network of investors and environmental groups which helped organize the investor letters. “The BP disaster demonstrates that the shift to deeper waters comes with a significantly increased risk profile, and that the cost of getting environmental risk management wrong has increased dramatically,” Logan said. Oil companies are asked to respond by November 1.